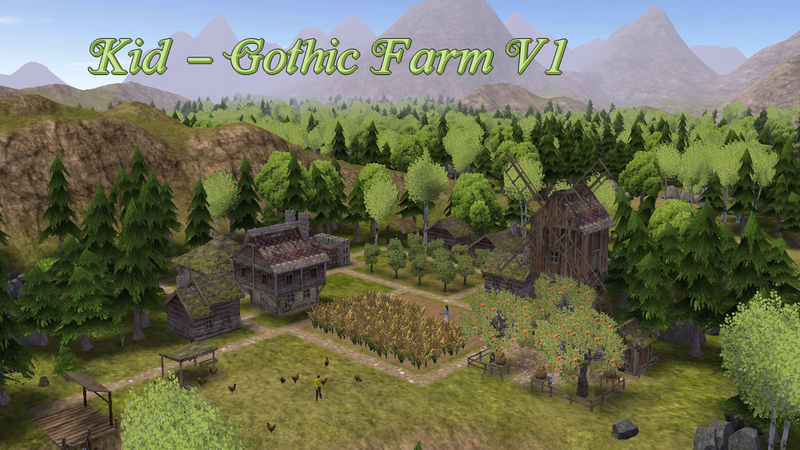 V1.1 - Added Gothic Fantasy textures to Jam House, Mill and Mill Storage. i have to ask. does this require a worker for each worplace or does the whole farm function with just 2 workers? Each item is separate. Beekeeper, Jam House, Pasture and Mill. This is really nice! I like how the beekeeper looks with the apple trees. Wonderful mod! And now, I have to start yet another new game to use these buildings. Thanks for all your work. Keep playing @Goblin Girl ! You are safe from me for a while. i found a loop.the jam shop doesn't store honey.the workplace mead still does store the honey and uses it so i don't think it is my mod order. @brads3 Do you mean you are not getting jam from the jam shop? In Haunted Hollow story 19 I use Gothic Farm and built jam shop, I had no problem making jam from apples and honey. Maybe it is your mod order. My only explanation is that there is a mod that changes honey flags. I have the same flags as the examples apiary file. If someone makes honey - grain or edible only - they will not be stored. I have limited the jam production flags to avoid storing all sorts of food. Sorry, I have no solution than to write the same code as 'someone else' has done. I don't know what that code is. It was done because the honey by Luke is way overpowered. All 4 food groups for 1 food product. So if players put down Lukes Apiary all the bannies ever need is honey to get the benefit of all 4 food groups. I think Red changed it to Edible | Grain and i guess CC did the same or vise versa. That Apiary also produced a lot a year (thousands of units?) as players/modders found out and in some mods which include Luke's apiary the output was toned down. The little beekeepers made by DS have honey as fruit, or comb honey which is both fruit and protein. I think in CC it's a fruit now. honey coming from KID's apple and bee farm. jam house won't store the honey to make strawberry jam. does store strawberry. odd part is the mini brewery for the workplace mod does use the honey to make mead. i do have the flora mod this time. maybe the jamhouse can't differentiate honey and wild honey? Did not know some modders used different food group(s) for honey. But I can see because what is honey exactly? Protein? Fruit? Grain? Vegetable? Luke did not really know either i guess so added them all but "forgot" it is overpowered. I think Kid can just add the two other food groups to his jam building as the worker will not store stuff in there even if it has a storage flag for it but is a resource the worker not need. Red made us aware of that about a year ago so even if a modder put all the flags as storage in a production building the worker will not store what he not need to create his production. You have one of Red's Mods above Kid's mod? I know that honey is set Edible | Grain by Red and if Red's mod is above Kid's it will overwrite Kids honey file so it will not store the honey because the jam house only allows flags Fruit and Vegetable so not grain. In terms of Banished, that's a very good question. Honey is basically sugars, which doesn't really fit into any of the Banished food groups. Fruit has lots of sugar in it, but it also has vitamins and fibre. Sugars are carbs and grains are carbs, but honey isn't a grain, although honey does store well, like a grain. 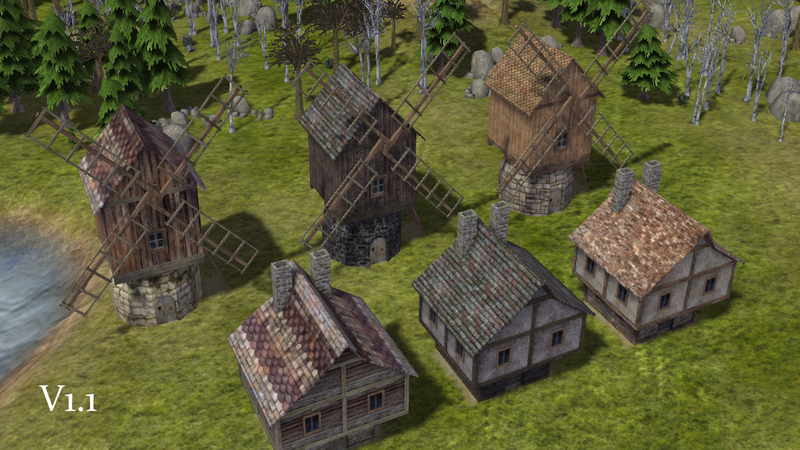 But Banished doesn't have any type of food spoilage system so that isn't really an issue. Honey definitely isn't a protein or a vegetable. In terms of Banished food groups you could probably call honey either grain or fruit, but making honey both a fruit and a grain is overpowered in my opinion. But even if it is overpowered I don't really care that much. I like having bees and honey in my towns. The crops and orchards need pollinating.